Tooth whitening in chair with our dentists in Geelong is a cosmetic dental treatment procedure done at our dental clinic in Geelong to whiten and brighten the teeth. This dental whitening procedure is always performed by the dentist in the dental chair at the clinic. The in chair dental whitening procedure can take about an hour with our dentist in Geelong. The tooth to be whitened by the dentist are isolated using gauze, retractors and some cotton rolls. Special gingival cream or gel are applied to the gum by the dentist to prevent the bleach from touching the gum. The whitening bleach is then applied to all the tooth by the dentist and left for 8 to 15 minutes. After that, it will be washed off and it is repeated up to three to four times with the dentist in Geelong. A special desensitizing gel is also used by the dentist to help with any sensitivity of the teeth’s. dentist uses the impressions taken at the first appointment for whitening to make custom dental trays. A tooth mousse which is desensitizing gel is then applied in the custom dental trays. The tray gets inserted by the dentist over the teeth. Dentist will also show the patient how to apply the take home gel kit. The dental custom trays made by the dentist for whitening the teeth’s needs to be worn on a daily basis for 30-60 minutes. The number of days also depend on the patient. Hence, this may vary from person to person because of the results each individual wants to achieve. After two weeks, an appointment is made with the dentist to check on the result for your teeth whitening. An examination is also carried out by the dentist to check the results of your whitening done at our dental clinic in Geelong. 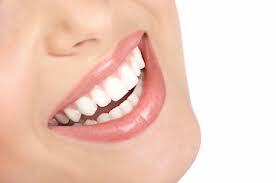 If you need any cosmetic dental treatment like the in chair tooth whitening in Geelong. Please call our dental clinic in Geelong to book your Geelong teeth whitening dental consultation. You can also speak to our qualified cosmetic dentist doing dental whitening in Geelong.